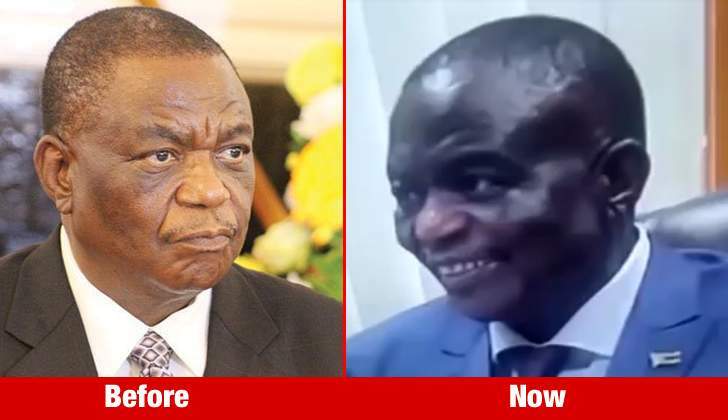 A footage of a frail Vice President Constantino Chiwenga was aired on State broadcaster ZBC TV News on Tuesday evening with the visible ailing Chiwenga claiming to be in good health. Chiwenga was rumoured to have been rushed to a hospital in Cape Town, South Africa on Saturday night after his health situation deteriorated. He however appeared on Tuesday at a Cabinet meeting. Chiwenga has not been well since the November 2017 coup that ended 37 years of Former President Robert Mugabe's rule. He revealed at a funeral last year that he was paying the price for removing President Mugabe.